Have you ever imagined printing some good food when you are hungry? That is the most crucial challenge in the 3D printing world. 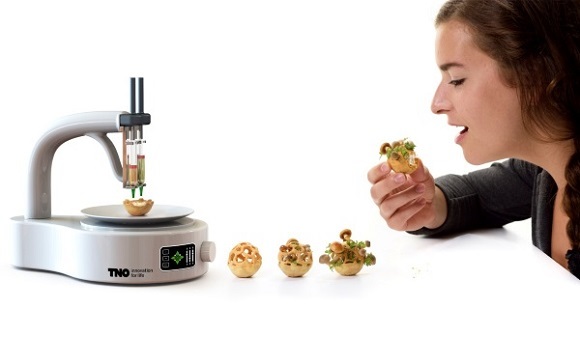 Can you think and a custom 3D printer in your kitchen that can make edible diverse and tasty meal? Such a printer would be beneficial in many ways. First of all, that would be really convenient, if you could print food in almost no time. And secondly, that would be a solution to the controversial situation – the combination of wasteful consumer market in the west and food shortage all over the world. And surely that’s the way for 3D printing to get through to the minds of the whole consumer market. 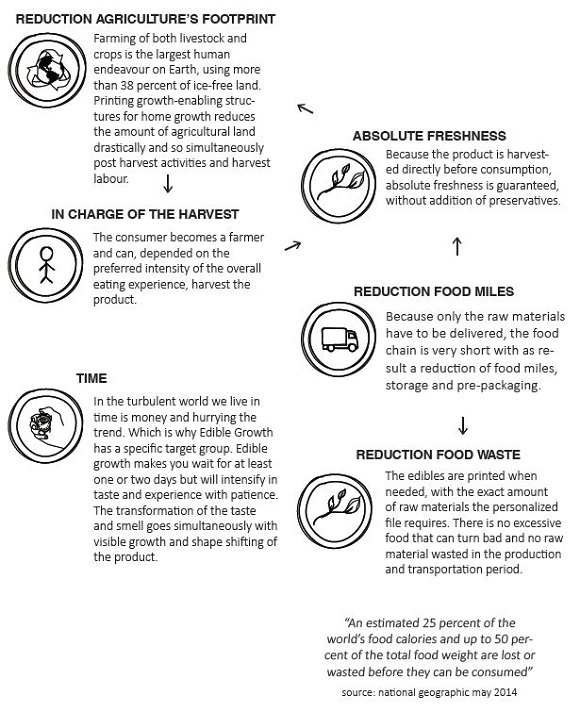 These are the reasons why lots of companies have been successful in working on various technologies to create healthy, edible, long-lasting food. Some really innovative effort has already been done, but what is still missing is a good 3D printer. There are some problems with the cooking phase for a number of projects, as some of them are limited to a small amount of ingredients. There have been made an announcement about F3D printer that is designed to mix three ingredients and make a pizza. But still it’s not so diverse or at least healthy. Foodini project looks promising, but there is a lot of work to do. The initiative of the Edible Growth project belongs to Chloé Rutzerveld – a Dutch industrial designer, quite young but very talented. All through 2014 she has been working on the 3D printed food project, which put all the suppositions upside down. Her goal was not to create food with the technology she had. 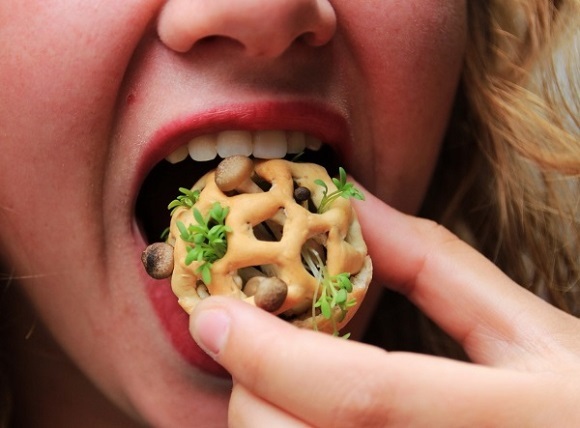 But she intended to make 3D printed food nutritious, healthy and absolutely natural, to give the body everything it needs. 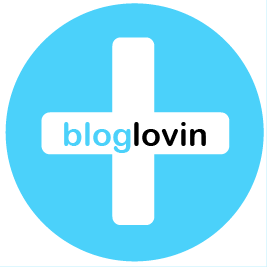 The key points of the Edible Growth project are nature and health, invitingness and health. The project is still at the stage of research and development because of some monetary and technological constraints, the concept is intriguing and really worth checking. 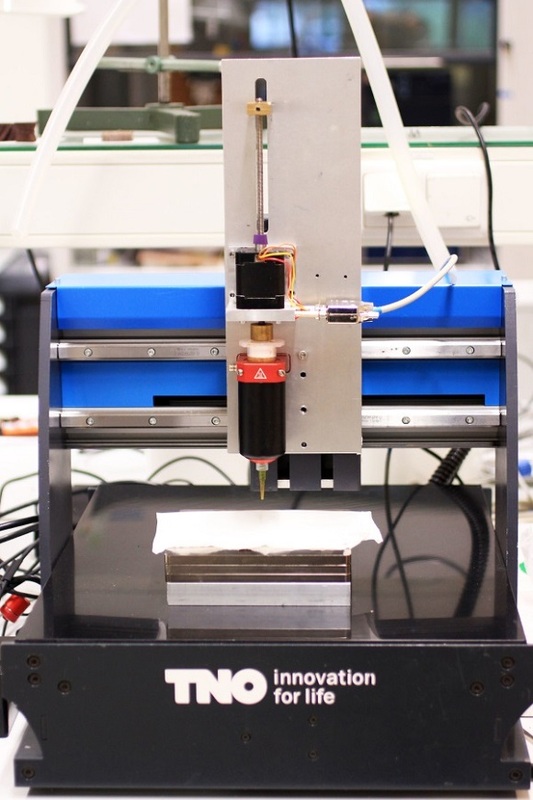 Probably it will become the future of 3D food printing. Rutzerveld explained that people always consider food coming from labs and factories to be tasteless and unnatural. But the edible growth project is going to change this idea. Edible Growth makes use of natural processes like photosynthesis, fermentation and others and uses less flavor intensifiers. So the ultimate goal is to create nutritious, delicious and natural food. The scientist also added that another advantage of their project is that it will help them create food that is good for us with less amount of resources required for food industry and lower food waste. Surely this project seems promising. But many of you are shocked and willing to know: how can all this be realized? What kind of food can it produce? 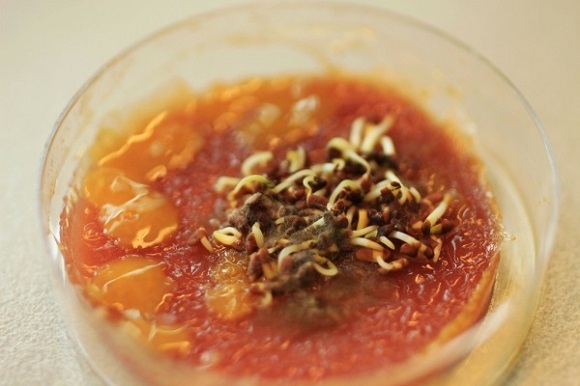 And certainly there are some questions concerning freshness of food, its diversity and nutritiousness. To solve these problems Rutzerveld came up with a wonderful idea. 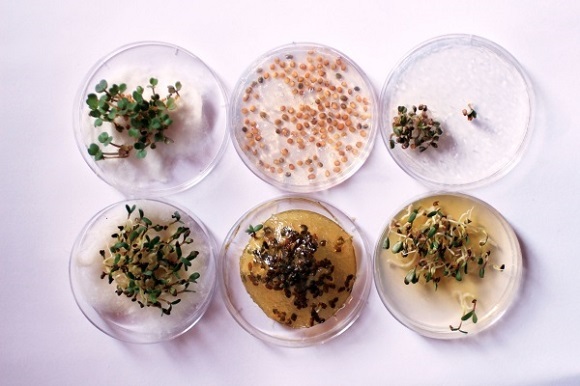 She decided to print a mixture of spores, yeasts and seed to make natural environment for the lively organisms to produce food on demand. 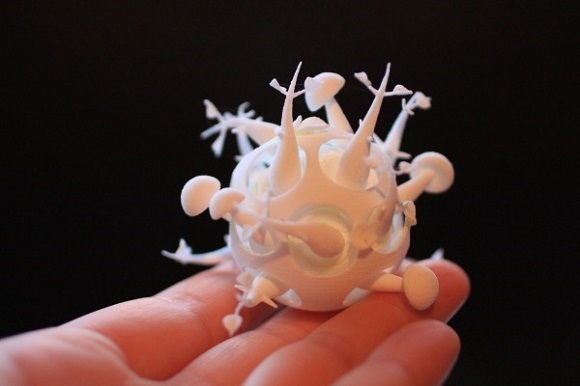 3D printing is exactly the technology to make this idea real because 3D printing makes production process sterile, preventing spores and seeds from unnecessary fungi and contamination. Another point in favour of using 3D printing is that due to the specific positioning of layers seeds don’t meet the spores. What’s more, you can personalize the product in size, shape and even nutrition values. The printed food consists of 3 important elements – edible matrix (Agar Agar, nuts, dried fruits or vegetables), micro-organisms (fungi, sprouts, bacteria, yeast and seeds) that can add some extra level to the snack and carbohydrate crust or edible protein that is added on top of all. The top layer might consist of materials used to make F3D pizza crust or can be made from insects. All these elements taken together are likely to result in nutritious, healthy and probably delicious food. All the layers made up of yeast, seeds and spores are developed using the special 3D file. It takes the fungi and plants about five days to get mature. You can reap your meal when the product’s properties suit your liking. Later the lively foods that they created become round and got organic shapes that could exist in various forms and each would have its own organism. 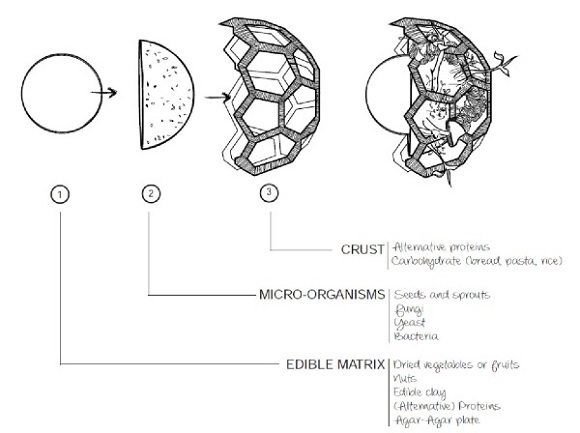 he crust was meant to have an open structure so that the organisms could stick out of the crust and thus demonstrate natural growth. 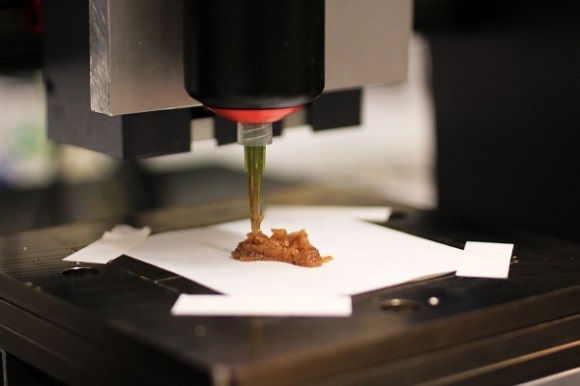 When some of the 3D printed prototypes were created, two test meals were created that could be tasted. Both of the prototypes were made from the same ingredients. Bruschetta of cooked vegetables with dried crashed black olives were used as the matrix. Philiote mushroom fungi and cress were planted in it. And all this was covered with crunchy pie dough. They missed fermentation elements in the prototype for some safety reasons. 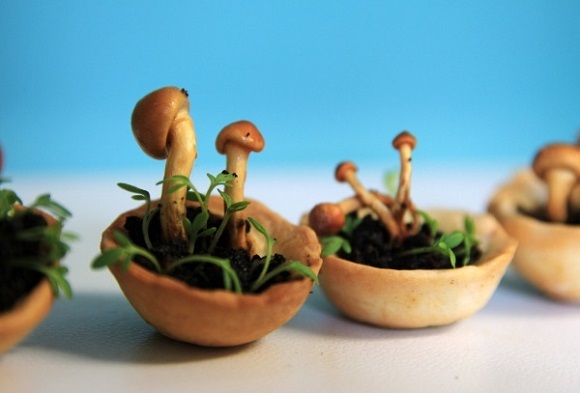 When this 3D printing technology is accepted, their edible growth project will take a few more steps to male progress. It will provide both nutritious and natural food and will cut down on the amount of agricultural works and the amount of food wasted.